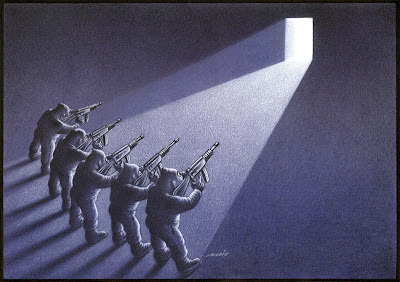 Results European Cartoon Contest ”WOMAN"
Yaser Ahmad / Syria (See above). We are very pleased to invite you to participate on a European Cartoon Contest which theme will be "Intercultural Dialogue”, which deadline for the reception of works will be the 16th June 2008. This contest’s theme is in accordance with the proclamation of 2008 as the European Year of Intercultural Dialogue. 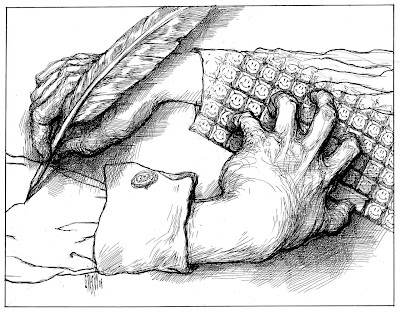 This contest under the theme of “Intercultural Dialogue” is organized by the Portuguese Printing Press Museum, entity which organizes the PortoCartoon-World Festival. This decision of the EU contributes to the respect of several principles in the Treaty establishing the European Community and the Charter of Fundamental Rights of the Union, particularly in the area of promoting cultural diversity. It is in line with these purposes that Portugal launches a European Cartoon Contest, relying on the importance of the language of humour as a way to raise awareness of intercultural dialogue. 3.1. The works measurements should not exceed 42 x 30 cm (DIN A3). 3.2. The works must be originals and any kind of graphical technique will be accepted, including digital artwork if they are signed and if they are print number one. 3.3. The works should present on the reverse the following information: name and address of the author, title, theme section and year. This contest is for European authors (by birth, residence or work), of any European country, being part or not of the 27 countries of the European Union. The works should arrive at the Portuguese Printing Press Museum (address: Estrada Nacional 108, nº 206, 4300-316 Porto / Portugal) at the latest on 16th June 2008, together with the author’s CV (publications, exhibitions, prizes…) and the application form. 6.1. The participation in this contest means automatically that the author is waving copyrights of his works in any kind of support (including web pages), concerning the production and diffusion of the contest, as well as late exhibitions and catalogue edition and other kind of diffusion material. 6.2. In case of using non-awarded works in other cases except this contest exhibition or its promotion (including the catalogue), copyright payment will be made to the artists whenever it takes place to. 8.1. The International Jury will have an odd number of judges. 8.2. The Jury decisions will be final with no subjection to any kind of appeal or reclamation. The awarded works will become property of the Portuguese Printing Press Museum and will make part of itinerant exhibition. The others will be sent to the artists, if formally requested on the application form, after its public exhibition and possible exhibitions in other cities and countries. All the artists whose works will be selected for the exhibition will receive a catalogue. REGISTRATION (Extended due to post office strike): until August 11, 2008. All professional or amateur cartoonists may register new humor works that have not received prizes in other shows, until up to the event subscription closing date (July 31, 2008). Each author may register up to 2 (two) works per category. Any works developed in any technique will be accepted. Cartoon, Charge, Caricature, Strips and Vanguard (in this category, computerized works may be registered). The theme is free, in A3 (297 x 420 mm) format, without frames and cardboard-mounted. In the Strips category, boards with a maximum of 1 to 3 pages will be accepted, with humor themes. 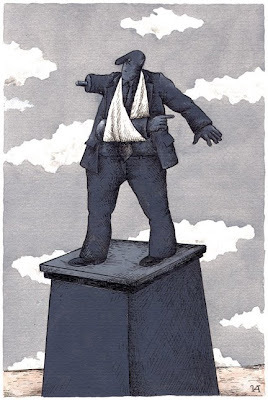 CARTOON – Graphic humor with universal and eternal themes. 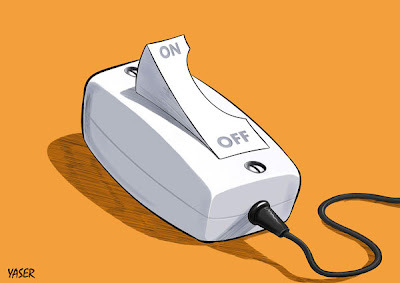 CHARGE – Graphic representation of a current journalistic theme. 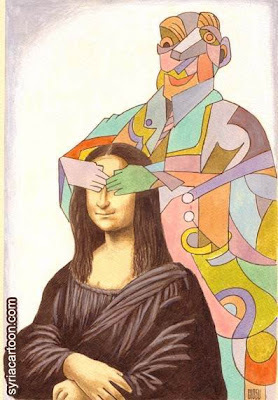 CARICATURE – Graphic art that expresses in a satiric manner the physical and/or personality character features. STRIPS – Graphic art in sequence, with theme closed in standard format, usually published in newspaper columns. 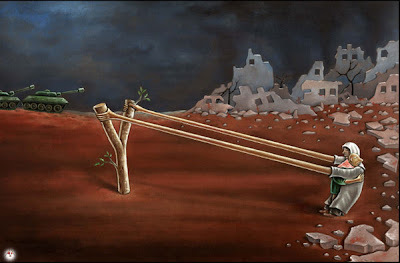 VANGUARD – Graphic humor translated into forms that do not follow previous standards, but are presented as a cardboard presentation, in A3 (297 x 420mm) format. Works that did not comply with these dimensions will be automatically disqualified. a) Five Prizewinners, in the amount of R$ 4,000.00 (four thousand reais), divided into the following categories. b) A R$ 5,000.00 (five thousand reais) prize denominated GRANDE PRÊMIO SALÃO DE HUMOR DE PIRACICABA [Piracicaba Humor Show Big Prize], which will be granted to one of the five prizewinners in each category. c) The winner of the Humor Show Big Prize, will receive a special trophy, and the prizewinners of each category, whose artwork and creation will be donated by cartoonist Zélio Alves Pinto. It will be conferred also a prize, in the value of R$ 2,851.51 (two a thousand eight hundred and fifty and one reals and fifty and cents), exclusively for the category caricature, buying value of the Chamber of Councilmen of the City of Piracicaba. Observation: The prize jury reserves the right to not award prizes to the categories that do not reach the required levels, transferring them to other categories or creating a special prize of the Show. There will be a Selection Jury and a Prize Jury composed of qualified people of the concerned area. The prizes will be acquisitive by Piracicaba Municipality. If the prize jury finds any type of fraud or illegal use in one or more registered works, it may cancel the awarded prize. The awarded works will be divulged on the Humor Show’s webpage after inauguration of the same, and may be contested until one week after the Show’s opening, with the applicable evidence of any irregularities committed without the jury’s knowledge. Other prizes and mentions may be instituted, at the discretion of the Organization Committee. Works will be returned until 1 (one) year after closing of the event on October 12, 2008. If the artist wishes to receive his/her work before that date, he/she must request it at ‘Centro de Pesquisa de Divulgação Nacional de Humor de Piracicaba’, at the above mentioned address. In addition to the registration form, each work page must present on the back the following information: registration category, author’s full name, artistic name, full address, phone number, e-mail, CPF and RG number and banking data. They may also send a brief curriculum vitae and a picture for registration in the Show’s database. When registering, the author transfers the Assignment of Author’s Rights relative to his/her work(s) when awarded on an acquisitive basis, in conformity with Law 9610 of February 19, 1988 (Copyright Law) on a full, universal and definite basis, in all utilization modes and on a complimentary basis, the author’s rights, safeguarded by the said law, relating to the work(s)awarded in the Piracicaba International Humor Show, becoming an integral part of the Municipal Public Heritage for all intents and purposes, in conformity with Municipal Law 2249 of 1976, partially altered by Municipal Law 2486 of 1982, and consolidated by Municipal Law5.194 of 2002. Already for the third time, Stuttgart-Marketing GmbH as the official tourism partner of the state capital of Stuttgart is announcing the STUTTGART AWARD. 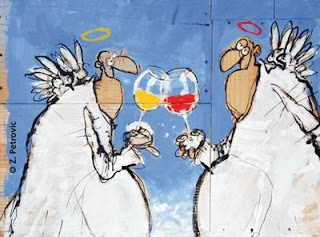 This year´s motto of the international contest for cartoon and caricature is “The World of Wine”. The contest is open to professional as well as semi-professional cartoonists and caricaturists. The first prize is awarded with € 5.000. Every day, fascinating works of art are received at Stuttgart-Marketing – up to now hundreds of works from around 50 countries have been counted. In order to give more cartoonists and caricaturists the chance to participate in the contest, the deadline for the receipt of works of art has been extended til May, 30th 2008. More information as well as the conditions of participation are available at http://www.stuttgart-award.com/. 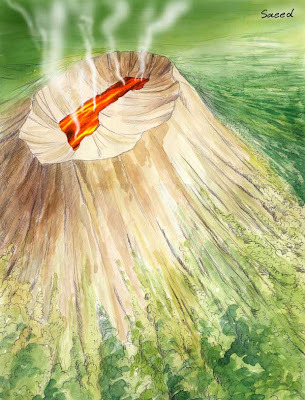 Artists, who would like ot take part in the STUTTGART AWARD 2008 – “The world of wine”, can submit up to three cartoons and up to three caricatures. Submissions are accepted via regular mail or e-mail. All works honoured, as well as a representative selection of submitted cartoons and caricatures, will be shown in several exhibitions, as e.g. in the State Museum of Württemberg (Landesmuseum Württemberg im Alten Schloss) or in the Stuttgart Viticulture Museum (Weinbaumuseum Uhlbach). 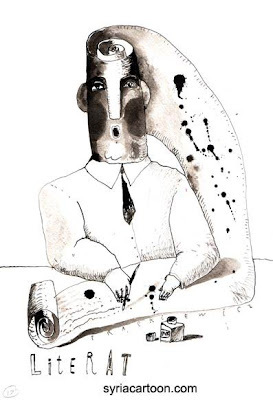 Montes Claros’ administration through the municipal culture secretary and Brazilcartoon, opens the International Godofredo Guedes’ Centenary Caricature Contest in homage to the important graphic artist and instrumentist, composer and instrument fabricant. Godofrendo, Godô, as he was kindly named, was born in august 15 on the city Riacho de Santana, Bahia, in 1908. In 1953 he moved to Montes Claros / MG. He began to dominate the brush before he was 15, in 1923. His first work was “Nosso Senhor Bom Jesus da Lapa”, made by oil. As the years went by he became a reference in painting portraits and beautiful landscapes, North of Minas’ hinterlands scenes. Godofredo was also an influence to the beginning of advertising in Montes Claros, producing painted signs to local commerce. In music he had a most important role in compositions that are nationally known such as “CANTAR”. which have already been recorded by Milton Nascimento and Paula Toler, as well as his own son, the singer and composer Beto Guedes.Godofredo went beyond the mounts, in Minas’ capital, where he collaborated in the creation of the art market in Belo Horizonte, in Liberdade Square. The imortal Godofredo have always had painting and music in his blood, and contributed immensely with the cultural formation of Montes Claros. He left a valuable inheritance of compositions and paintings, and also created an instrument, pentacorde, that have and particular sound. The City Montes Claros, Brazilcartoon’s home, opens the celebrations of Godofredo Guedes’ centenary with several festivities, in order to retribute to the great cultural collaboration of this talented artist: Godofredo Guedes. Montes Claros is located in the north portion of Minas Gerais. It is an important academic pole and the cultural crib that has already projected great artists in national and international scene such as the writer Darcy Ribeiro, the illustrator and cartoonist Marcelo Lélis, the singer and composer Beto Guedes, one of the integrants of MPB movement, Clube da Esquina. Konstantin Christoff, humor painter known internationally, Carlos Muniz, cartoonist, and Márcio Leite, Brazilcartoon’s director. 1 - Any person can participate the Contest, except Culture Secretary’s and Brazilcartoon’s workers and organization staff. 4 - Each contestant may participate with only 1 (one) work. 5 - Techinique is free. 7- The works can be registrated personally or by mail. The final prize to registration is 31/10/2008, counting the publishing date. Brazilcartoon’s site won’t be responsible by any damage occurred during the publishing. OBS. : The under-age participants shall send, written down, the autorization of the parents of responsible. 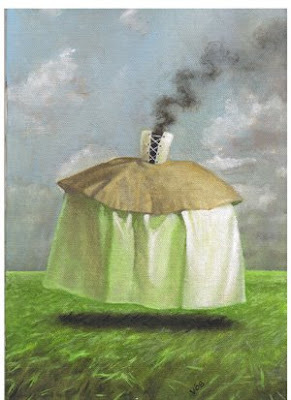 12 – Brazilcartoon will show on its site http://www.brazilcartoon.com/ a gallery with all the selected and awarded drawings. 13- Drawings sent to the competition won’t be returned. New Talent’s Award – R$ 500 + trophy. This category is dedicated to amateur artists untill 16 years old. OBS. : Brazilcartoon will participate the event through the divulgation, judgment and organization, but it won’t be responsible by the awarding of it. The prizes’ payment and the trophies are entire responsibility of Montes Claros’ Municipal Government. The organization staff reserve the right to veto the participation of those whose work’s subject won’t fit the contest’s proposal. 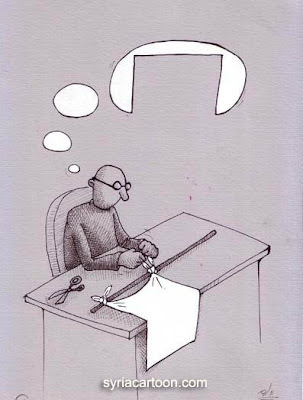 The organization may use the works sent to divulgate the event and in Brazilcartoon. The registration of the International Godofredo Guedes’ centenary Contest implicates in total and unrestricted acceptance of the conditions above described. All contestants will be admitted with no distinction made regarding nationality or age. · Adult category: 16 years and older. The theme is „Extreme sports & strange hobbies“. · Original cartoons in black and white or colour, may bear no captions. · Dimensions including any passe-partout 21 x 30 cm. · Works sent rolled and works larger than DIN A4 will not be returned. · Number of entries per contestant: maximum five. Prize-winning works will become the property of the organizer or the major sponsors. 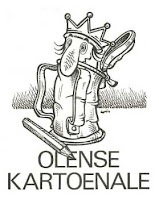 All works selected may be used by the organizers to promote the contest and the village of Olen. Return of the cartoons happens only on explicit request of the participant. In that case the return of the works will take place at organizers’ cost approximately six months after the ‘deadline’. The organizers will endeavour to handle the return forwardings with the utmost care but cannot be held responsible for loss or damages. The deadline is 22 September 2008. The prize ceremony will take place at Friday 14th of November 2008 at approximately 20.00 h in the council room of the town hall of Olen, Dorp 1, 2250 Olen. Every participating artist will be welcome on that occasion. · All working days from Monday 17th of November 2008 till 19th of December 2008 during the opening hours of the town hall. Organised in Turkey by Alanya Tourism and Promotion Foundation, the 8th International Mediterranean Cartoon Contest with theme "Tourism in Mediterranean" concluded. 441 entries from 49 countries were examined on May 3, 2008, by the jury comprised of Kamil Masaraci, Kamil Deniz Som, M. Nuvit Ozkan, Cihan Demirci, Ibrahim Tapa and Mahmut Karatoprak (See top above). The selected cartoons are to be exhibited for a week in Alanya from May 31, the prize-giving date. 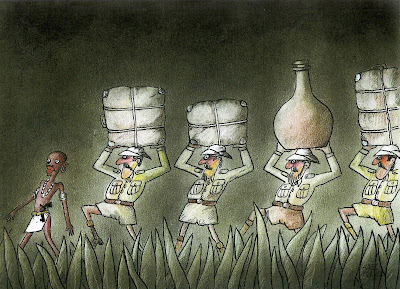 The organising foundation will publish the exhibited cartoons in a catalog. 1. 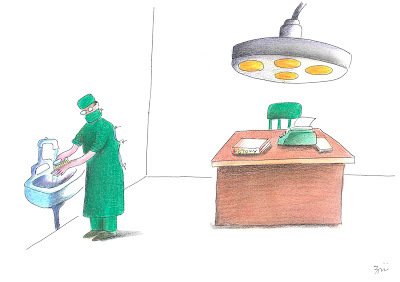 Participants take part in the competition with an original cartoon or very qualitative copy. Cartoons must be signed by the cartoonist in case that they are submitted as computer print outs. Photographs, photocopies etc., will not be accepted. 2. Previously awarded works will not be accepted. 3. Size of cartoons should not exceed 21 x 29.7 cm (A4 paper size). Works should be submitted unframed and unmounted. 4. The Organizers will not be responsible for damage that may occur during postage and handling. 5. 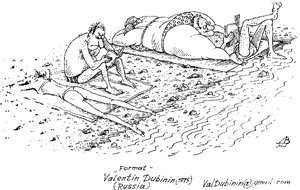 Competition is open to professional and amateur cartoonists from all over the world. 6. Subject is “Ecology. Pure city. Clear ideas”. 7. Participants are expected to send the filled in participation form, a short curriculum vitae and a photograph together with their cartoons. Otherwise applications will not be considered. 8. 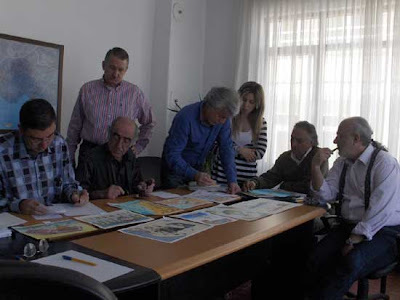 The Jury of Festival creates from the experts competent in the field of a cartoon, the fine arts. The Jury will meet in July 2008 for the selection and award of the works. The jury's decision is final and cannot be contested. 9. 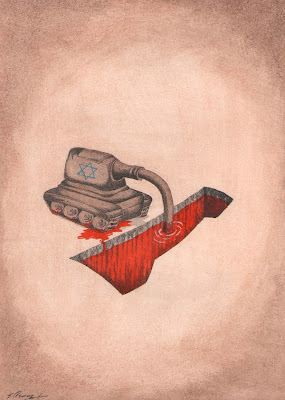 Award-winning cartoons will not be returned to the artists. The third place - 500$ and «The Bronze pencil». 11. Cartoons which do not win awards will be returned to the artists upon written request. 12. Participants may also leave their cartoons the Cartoon Museum, to be established by the Organizers. 13. All selected works will be displayed in an exhibition and one free copy of the exhibition catalogue will be sent to the artists whose works have been selected. 14. The cartoons will be displayed at http://look.goodideas.su/ (http://vzglyad.goodideas.su/) and may be used for promotional purposes printed or electronically or otherwise and permit third parties to reproduce them for promotional purposes of the exhibition and used without any monetary or otherwise compensation. Participants are considered to have accepted all the conditions stated herein. 15. By filling and signing the entry form, the artist undoubtedly agrees with the above-mentioned terms of the contest. 16. The award ceremony will take place in Belgorod (Russia) September, 16. The exhibition on results of Cartoon Contest will pass at Belgorod children's art school. 17. Deadline for entries is July 11, 2008. 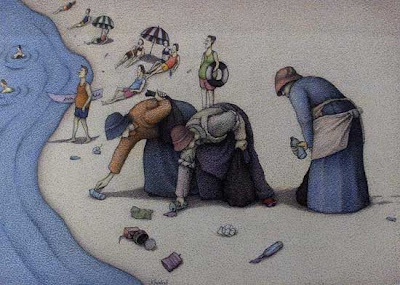 The well-known Portuguese cartoonist Augusto Cid was the winner of the 10th PortoCartoon World Festival, organized by the Portuguese Printing Press Museum, and with the Official Sponsorship of Caixa Geral de Depósitos. The second prize was to Muhittin Koroglu, from Turkey and the third prize was awarded to two cartoonists ex aequo: Dalcio Machado, from Brazil and Taeyong Kang, from South Korea. "The Olympic flame", was the title of the winner cartoon, and calls the attention to the multiple violations of Human Rights of China on Tibet. Augusto Cid collaborates weekly with the newspaper SOL and had an anthological exhibition on the Portuguese Printing Press Museum, in 2004. Called "The Knight of the cartoon" the exhibition presented about 120 of his best cartoons made throughout his career. 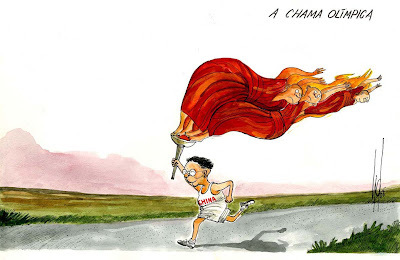 The "Human Rights" was the theme chosen for this PortoCartoon edition and assumes a special relevance at this time with the Olympic flame's problems on its journey to China. As the quality of the works received was of a very high level, the PortoCartoon international jury had also given 15 honourable mentions: Seyran Caferli, Azerbaijan; Luc Vernimmen, Belgium; Cau Gomez, Brazil; Eduardo Ferreira Grosso, Brazil; Harold Ortiz Sandoval, Colombia; Myung-Lae Nam, South Korea; Alberto Morales Ajubel, Spain; António Mongiello “Napo”, France; Dave Connaughton, England; Angel Boligan, Mexico; Pawel Kuczynski, Poland; António Santos, Portugal; Ali Sur, Turkey; Musa Gumus, Turkey and Sevket Yalaz, Turkey. The winners will receive a monetary prize and bottles of special Port Wine (special reserve) together with the trophy and diploma. This is the first time over the ten years of this festival we registered such a geographical enlargement of the participation, 70 countries. This means a growth of 20% when comparing it with 2007. Moreover, both in terms of cartoonists and works the participation of previous years was exceed. The organization of PortoCartoon received almost 2000 drawings of more than 500 artists. 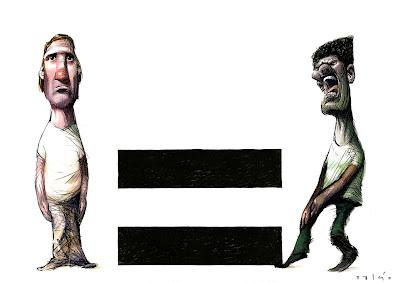 Brazil is the country with more participants - more than 50 cartoonists, with 200 works. In second place was Portugal, followed by Iran. The international jury of X PortoCartoon was presided by Marlene Pohle, president of FECO and had the following members: Xaquin Marin, director of the Museo de Humor de Fene (Spain), Julio Dolbeth, from the Faculdade de Belas Artes do Porto, Lucília José Justino, President of Amnesty International of Portugal; Naoki Seshimo, Japanese architect; Nuno Costa Santos, representative of Produções Fictícias; Raquel Almeida, representing the Ministry of Culture, and Luís Humberto Marcos, director of PortoCartoon and Museum. 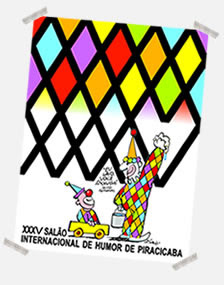 The PortoCartoon is considered by FECO (Federation of Cartoonists Organisations) as one of the three most important festivals of humour in the entire world. FECO is the most important international cartoonists’ organization and represents more than 2000 artists of 30 countries. 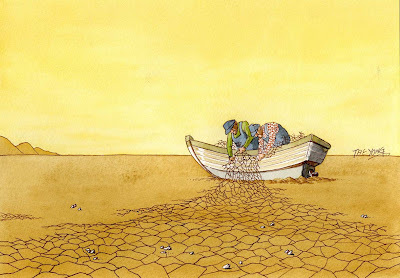 The PortoCartoon has been annually organized since 1998, and this year celebrates its 10th anniversary, always with themes of great impact worldwide. 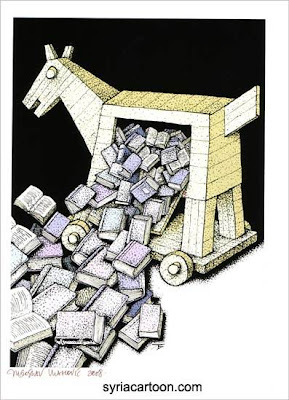 Several hundreds of thousands of visitors have seen the ninth editions of PortoCartoon which took place on the Portuguese Printing Press Museum, and in the several cities where exhibited, including countries as Argentina, Brazil, Spain and Mexico. The winners of the X PortoCartoon will receive their trophies and prizes during the opening ceremony of the exhibition to be held on the Portuguese Printing Press Museum, in June, during the S. João of Porto festivities.